You know what’s cool? An integrated transportation system that offers residents lots of choices. 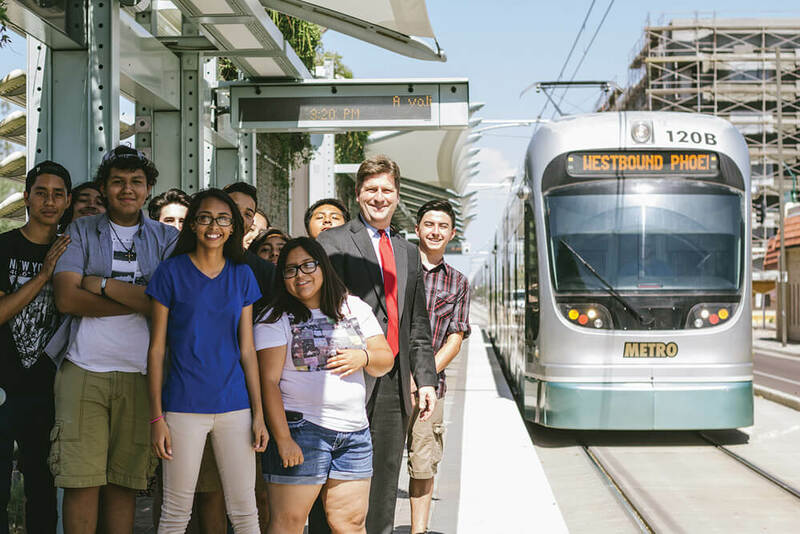 Thriving American cities of the future will have robust, connected public transportation systems because it is what millennials and corporations alike are demanding. 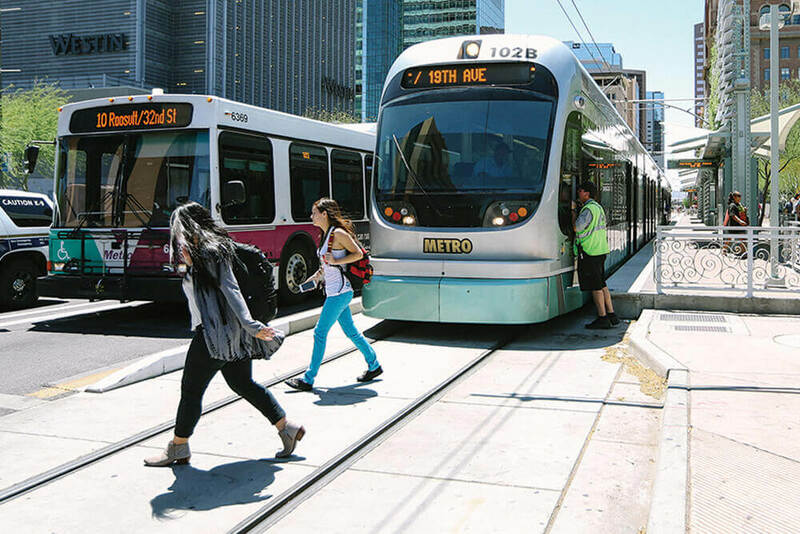 When future-facing leaders of the City of Phoenix asked voters to approve a .3-cent sales tax to fund improvements in the city’s roads, bus and light-rail systems, they asked Javelina to plan and execute a winning campaign. The catch? We had just six months. In six short months, Javelina brought the MovePHX brand to life by painting a picture for Phoenix voters of what life will be like when we can travel easily around our city by road, lightrail, bike or bus. Javelina’s deep understanding of our target audience coupled with their ability to create a vibrant, consistent brand secured victory for the MovePHX campaign, and will change the face of our city forever. DEFINE THE GOAL: Yes, the goal was to win, but it was also to bring new people into the fold. The goal was to demonstrate to people who think they live in a car-only city that public transportation is an essential part of the city of the future. DEVELOP THE STORY: Our Step One research unveiled that voters care about how transportation impacts not only them but their families too. And so we told the story of students currently traveling over an hour across the city to reach a school that offered their chosen classes. We told the story of individuals with disabilities who depend on public transportation to live independent lives. And we told the story of young families choosing to stay in Phoenix because transportation investments give them the opportunity to live car-free. LAUNCH A MEANINGFUL ENGAGEMENT: : And then, we took the stories to the voters. Through direct mail, across digital platforms and at people’s doors, we told the story of what Phoenix would become with a “yes” vote. An aggressive fundraising campaign accompanied the effort; the Javelina team raised $1.2 million in just 6 months to ensure the campaign was well-funded and the message would reach voters. 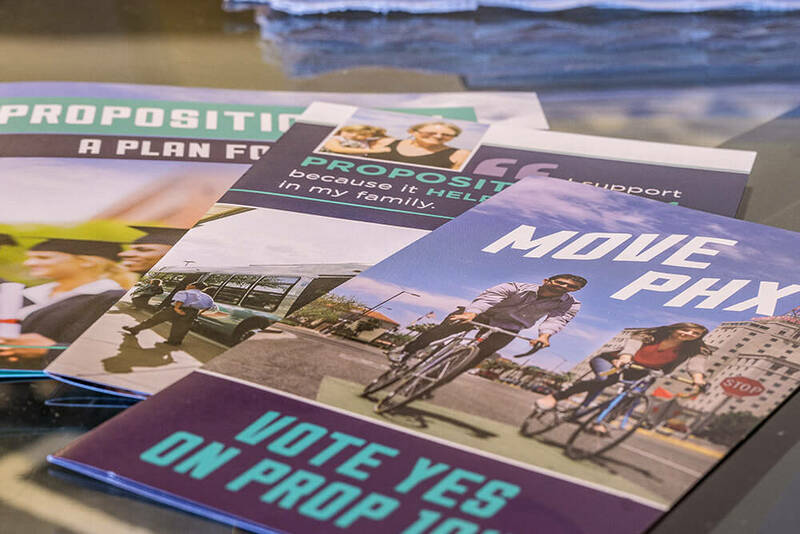 MEASURE RESULTS: The MovePHX campaign won with a decisive ten-point victory, securing the largest voter-approved investment in a municipal transportation system in the nation. Then you'll love working with us. Let's bring your brand to life! Across every platform. On every issue. Make Javelina part of your team. Ready to bring your brand experience to life? Let's chat!